How to estimate power spectra for time series data in the app and at the command line. How to estimate polynomial AR and ARMA models for time series data in the app and at the command line. This example shows how to estimate Autoregressive Integrated Moving Average or ARIMA models. How to estimate state-space models for time series data in the app and at the command line. 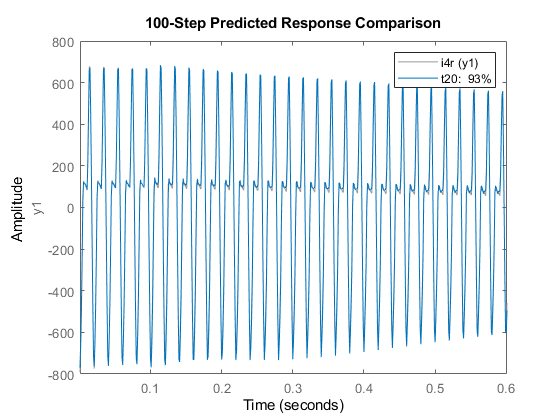 This example shows how to simulate a time-series model, compare the spectral estimates, estimate covariance, and predict output of the model. This example shows how to analyze time-series models. This example shows how to perform spectral estimation on time series data. Workflow for forecasting time series data and input-output data using linear and nonlinear models. This example shows how to perform multivariate time series forecasting of data measured from predator and prey populations in a prey crowding scenario. This example shows how to create a time series model and use the model for prediction, forecasting, and state estimation. What Are Time Series Models? Definition of time series models. Where you can learn more about importing and preparing time series data for modeling. Understand the concept of forecasting data using linear and nonlinear models. The modeling of a measured signal. We analyze the current signal from the R-phase when a 400 kV three-phase transformer is energized. The measurements were performed by Sydkraft AB in Sweden.